The next few post are going to be all about blackberries! I have 12 blackberry bushes (only 3 of which are producing, the rest are newly planted), but with only 3 producing, I have blackberries galore! I decided I needed to have a plan for what to do with all of it. 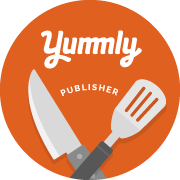 This recipe is for blackberry syrup. 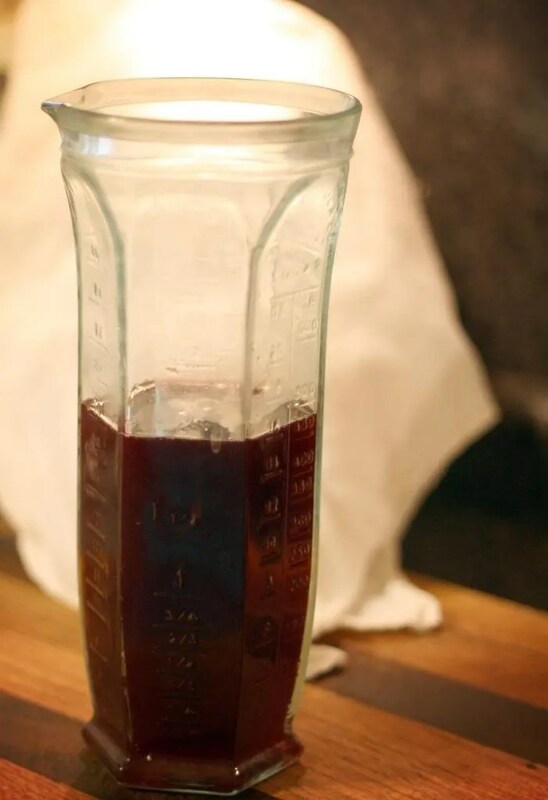 This recipe really is for a loose liquid syrup that is good to use in drinks, especially iced tea…I’ll be posting that recipe a little later! 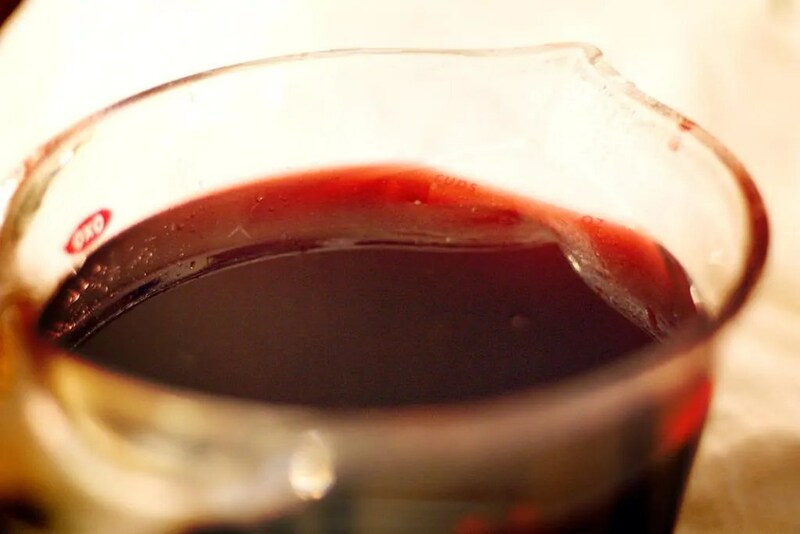 You can reduce this syrup by cooking over medium-high heat, stirring often until the desired thickness is reached. It’s delicious over pancakes and vanilla ice cream! 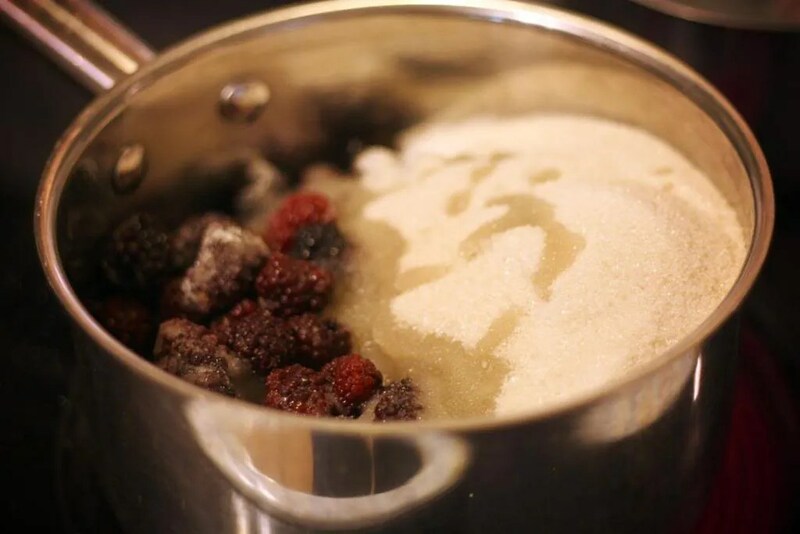 Bring berries, sugar, and water to a boil in a heavy saucepan over medium-high heat, stirring until sugar is dissolved. 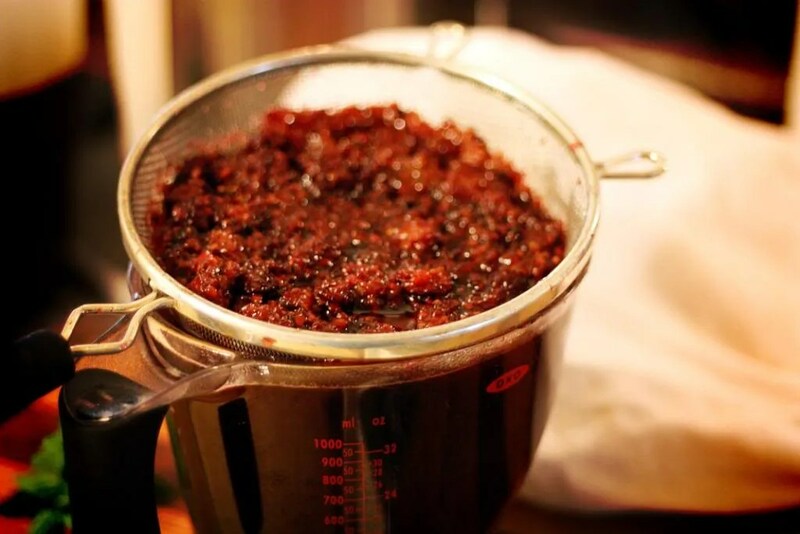 Reduce heat and simmer, uncovered, stirring occasionally, until fruit is soft, about 30 minutes. Cover and let steep for 30 minutes. Pour mixture through a fine-mesh sieve into a bowl, pressing gently on and then discarding solids. Serve syrup at room temperature or refrigerate and use on pancakes, ice cream or in beverages, like iced tea or lemonade. Refrigerate up to 3 days or freeze up to 8 months.